This green 1955 Chevrolet Two-Ten 210 4 door station wagon is a very solid complete main body and chassis ready for restoration. There is no engine, transmission or front body. The body and chassis are solid. The right doors and trim are damaged. The right front door handle is broken. The damage continues to a repairable crease in the right top front quarter. There is a small dent in the left front rocker at the bottom. The tail light assemblies are gone. Both bumpers are replatable cores. The rear tailgates are good. All the rear curved glass is good. The windshield is cracked. The seats are gone. The dash is there and the gauges are gone. 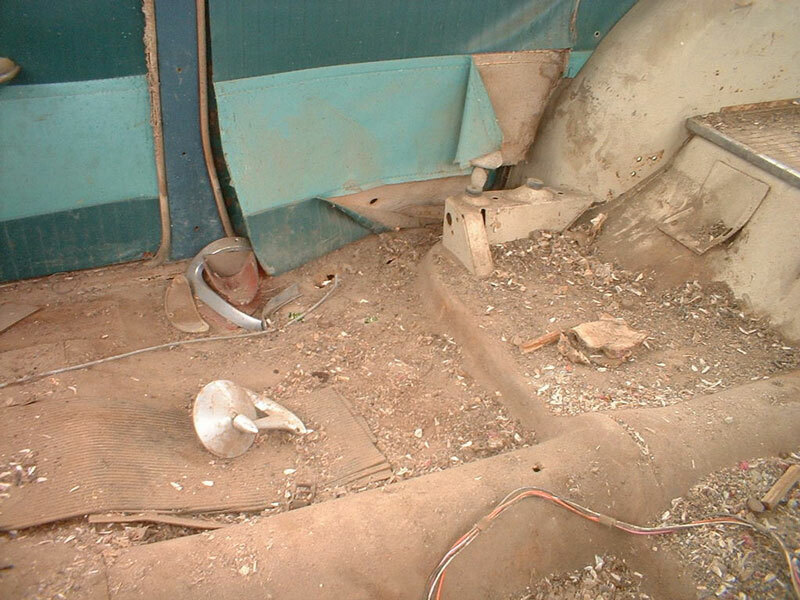 The steering column is there. The side panels are there. There is some rust in the front seat floors. 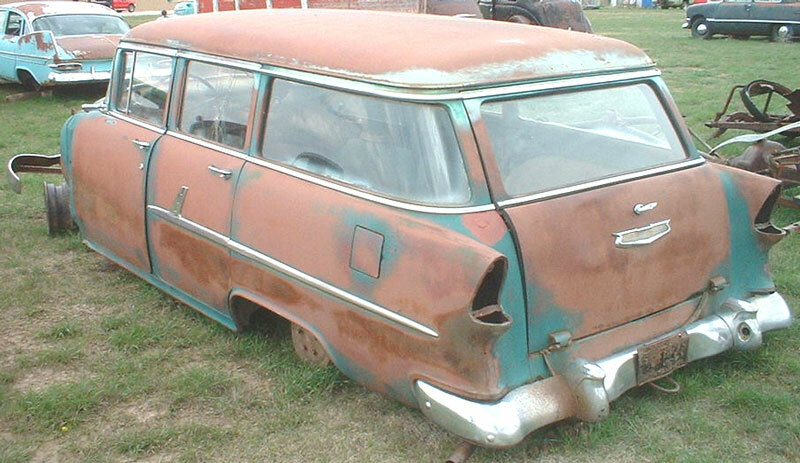 This is a chance to restore a good, solid 55 Chevy station wagon at a reasonable entry price. Please call (406) 318-0270 for details about this 55 Chevy Two-ten station wagon body and chassis.